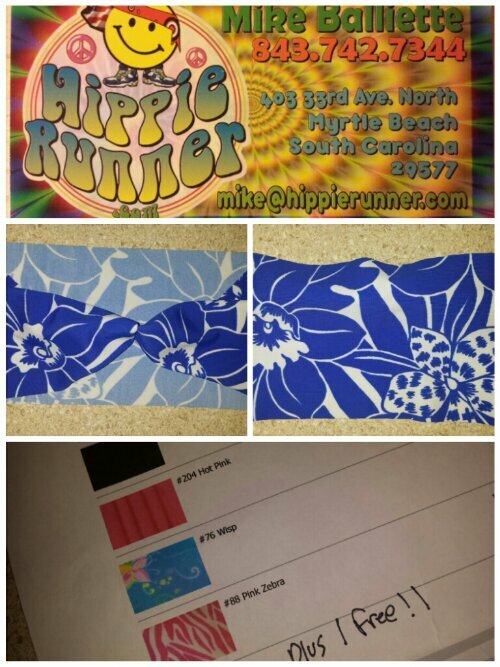 I was exposed to Hippie Runner headbands when I attended my first race expo for the Kentucky Derby Mini Marathon earlier this year. There was this friendly guy with a huge pile of every color and pattern imaginable headband. I was leary about the claims to wick sweat because the material is so thin and stretchy. 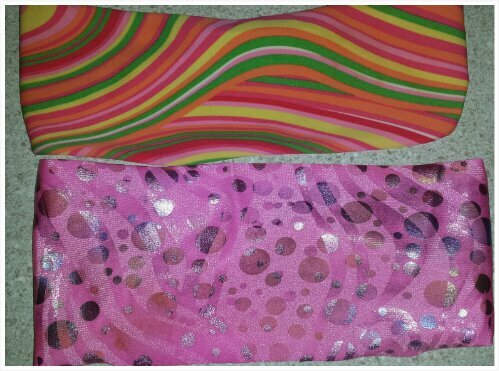 I wore my dark pink with metallic splatter headband for the 1/2 marathon and was highly impressed. It stayed in place and kept my face dry. From that day forward the only headbands I wear are by Hippie Runner. My Mom ordered a few and ended up giving me two out of her order. One of my favorites is a retro design with green, yellow and orange. The metallic will fade but that is to be expected with high usage. As you can see, the overall fabric color never fades. With the big MCM day coming up, I had to make sure I freshened up my collection. I ordered four and they were super nice to include a freebie! 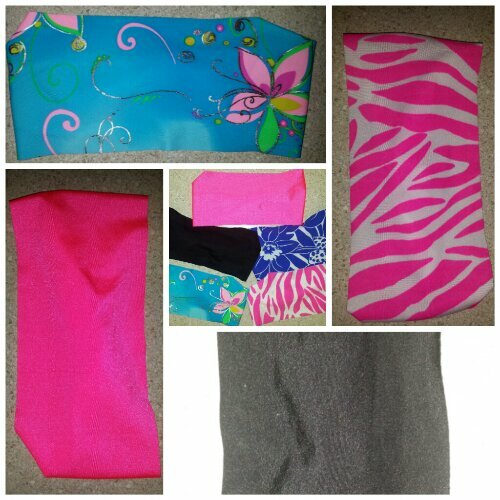 This entry was posted in fitness, marathon, running and tagged Crossfit, Headbands, Hippie Runner, Race Gear, Running headband, Spinning, Yoga. Bookmark the permalink. I sweat a lot when I run. I could use something to keep it out of my eyes from time to time – would the pink zebra striped one look good on me?